Typical RV Fridge - This One Is Mine! Let's face it, RV refrigerators are small. Yes, I have seen full size home-style refrigerators mounted in an RV, but that's not all that common. Since space inside is always at a premium, being efficient becomes second nature. I used to use lots of plastic storage with pop-on lids. These worked great for some items, but were complete failures at others. Then I discovered screw-on style containers. A while back they were only available in two sizes... too small and too large. OK, not really. I did use the smaller ones for items like fresh-made salsa and leftover soups and stews. They also had a problem with being in the freezer. They became brittle and the lips would break and crack. Now they can be had in various sizes! AND they fare much better in the freezer. I'm thinking of pre-preparing soups and stews and the like and having them ready to go in the freezer! As a bonus, I could use the frozen ones to pre-cool the refrigerator before a trip! On to the stuff... the medium sized one has been the most useful for me. I usually travel alone, and they work well for leftover storage. I use them to store items that could "slosh" around or otherwise leak out. Believe me, I've had to clean the fridge so many times after a trip! Try strapping your house refrigerator to your car and drive around for a few hours. See how many things stay put! The small ones are great for recipe ingredients that require prep like shredded cheese, chopped tomatoes, corn, cilantro. You name it. When it's time to cook, simply unscrew the lid and use the contents. The seal is quite good, I haven't had anything go bad or leak yet, but I wouldn't store them lid down. You never know.... The large/tall ones can be used for cooked (or uncooked) pasta. In fact, you are NOT limited to using these in a fridge. The large ones are great for storing dry goods you'd like to keep dry! Like rice, beans, flour, sugar, etc. they are pretty robust, and flexible enough to stay in one piece when banged around. You could really use your imagination with these things. I've got a Chili recipe that takes 17 hours in a slow cooker. I could portion out the remaining Chili and store and/or freeze them. Not that there's ever any left! One of the issues with them is that they don't lock together and aren't really "stack-able," but if you use a typical spring loaded refrigerator bar (or a curtain rod!) you can stack them in a corner, put the rod in front vertically and they stay put. You could also put them all in a row at the back of the fridge or freezer and lock the bar horizontally under the lip. Works well, but uses much more space. The main benefit to these is the screw top lid. I have never seen one come off in regular use. Unlike the messes I have cleaned up using the regular snap-on lids. I like to find ways to make my traveling more leisurely. 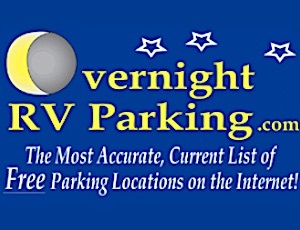 Anything I can do to add to the relaxed pace and nature of RV travel is a good thing. Since I really enjoy cooking (and eating!!). Simple things like this can make it all more fun and easier. Have you ever had problems with altitude change. Like going over the Rockies, Trail Ridge? I'm not sure I understand what your comment has to do with storage containers, but I do not have any altitude related problems. Fuel injection takes care of most of them. Although I had not seen storage containers with screw on lids, I discovered that plastic instant coffee jars and peanut butter jars with screw on lids serve the traveler's purposes. When I make soups, stews, chili, Spanish rice, etc., I store the future meals in these jars. I also use them to transfer items like pickles from glass jars to safe travel mode. Additionally being round rather than square, they allow for natural air circulation in the frig. Good idea! I like re-purposing existing items. Since I usually only buy the smaller containers (I'm usually only one person!) I'd never have enough large containers. But for most folks, it's a great tip! Ziploc bags are my friend! I freeze everything from gravy upwards in them and they lay flat in the freezer. Never had a problem yet with any leaks. I also reuse square, plastic containers (bottles) that Costco sells lots of stuff in for storing sugar, flour, tea etc. Yup, I'm cheap...err Frugal as well! Great tip. I know the altitude issue. I can't tell you how many times Pringles, Coffee or Potato Chips have POPPED on the way home from Denver. While I don't come over Trail Ridge Road on most shopping trips, Berthoud Pass is over 11,000'. Snap on lids can't always take the 5,000 to 11,000 back to 8,000 quick changes. I've never had a screw lid come loose over a pass, when dropped, etc. I live at 8,650, so I'm more likely to have trouble opening "vacuum sealed" lids when we go to "low" land anywhere else we go. AHA! Now I get it! I've never had any issues with the screw lids due to altitude either. I use Lock N Lock containers which I purchase from QVC. No problems with spillage or leakage and they come in various sizes and shapes. Some are stackable. Really love them. Another great tip. I don't watch QVC. but they are available online from them as well.